Home What Are Spirit Animals? It is my belief that each of us is endowed in this lifetime with a number of guides – sometimes ancestors or angels, and other times, animals. These animal guides are also known as spirit animals, and they follow us throughout our lifetimes, sharing their wisdom and magic as they illuminate the path of our Highest Good. 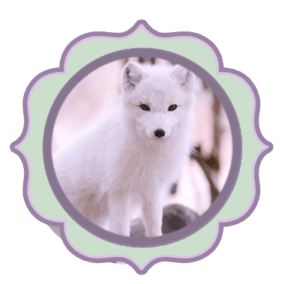 Are you attuned to the animal realm? Open your eyes and listen closely; the divine messages that your animal guides hold for you can be found all around. There are several ways to connect with your animal guides. Sometimes, they come to us in dreams – other times, they cross our path in reality. Pay attention to which animal spirits may be trying to contact and guide you, in both the dream world and the waking world. You may also try to connect with your spirit animals in meditation. Simply close your eyes as you draw inward, and ask your animal guide to come forth. You may have several animal guides surrounding you, or you may have just one. My biggest piece of advice in connecting with your animal guides is to trust your intuition – it will not lead you astray. Relax and open yourself up to the lessons these animal spirits are trying to share with you. 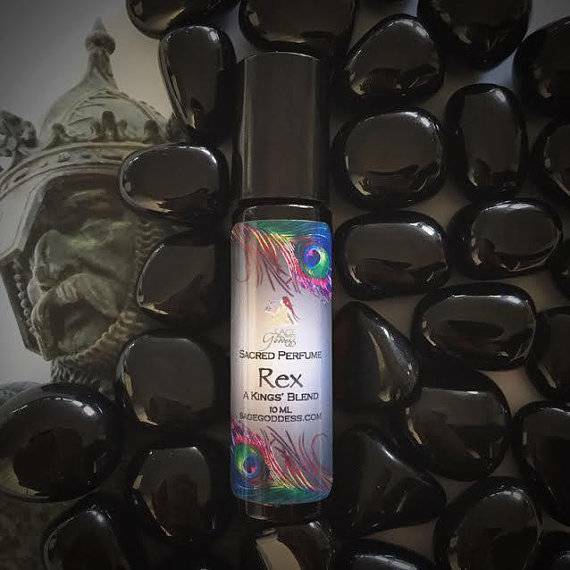 Did you know that we offer a wide range of Spirit Animal Perfumes and Oils? Discover them here. What is your spirit animal trying to tell you? Alligator is a symbol of primal Earth energy, and those who identify with this creature possess incredible powers of patience, perception, wisdom, and determination. These individuals have the ability to remain focused and calm under pressure, and their quiet strength is admired by all. 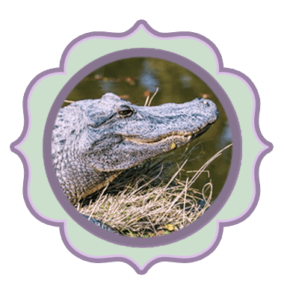 If Alligator is your spirit animal, you will benefit from working with skeletal quartz as a gemstone ally. 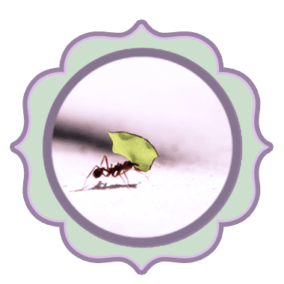 Despite its small size, Ant possesses immense strength! This creature is a symbol of discipline and community – and those who resonate with its spirit are known to be loyal and diligent, capable of accomplishing any goal. The level of persistence that Ant individuals possess is truly incredible, and these people can benefit from using their gifts to better humanity. If Ant is your spirit animal, you will benefit from working with dumortierite and ametrine as gemstone allies. Badger stops at nothing to get what it wants – it’s one of the most persistent creatures in the world! If Badger is your spirit animal, you possess high levels of independence, will, and determination. Badger individuals thrive when working on projects that align with their passions. 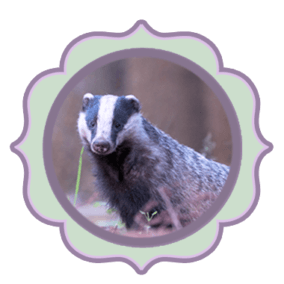 If Badger is your spirit animal, you will benefit from working with red amethyst as a gemstone ally. 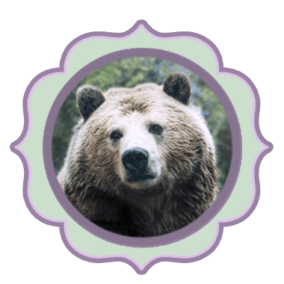 Courage and strength: these are the gifts of Bear. Those who identify with this creature are powerful and assured, capable of succeeding in roles of leadership. These people may also need to undergo times of “hibernation” – periods of self-examination and re-charging. If Bear is your spirit animal, you will benefit from working with howlite as a gemstone ally. Bee is responsible and hard-working – but it also knows how to stop and smell the flowers! Those who identify with Bee as their spirit animal have high levels of energy and can easily build empires, all while enjoying the sweetness of life. 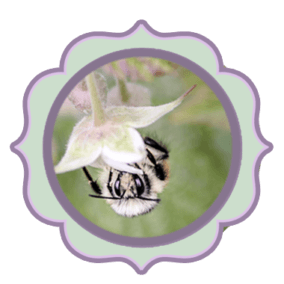 People who identify with Bee thrive when part of a community and the work that they do is essential to the well-being of the world. If Bee is your spirit animal, you will benefit from working with vanadinite as a gemstone ally. 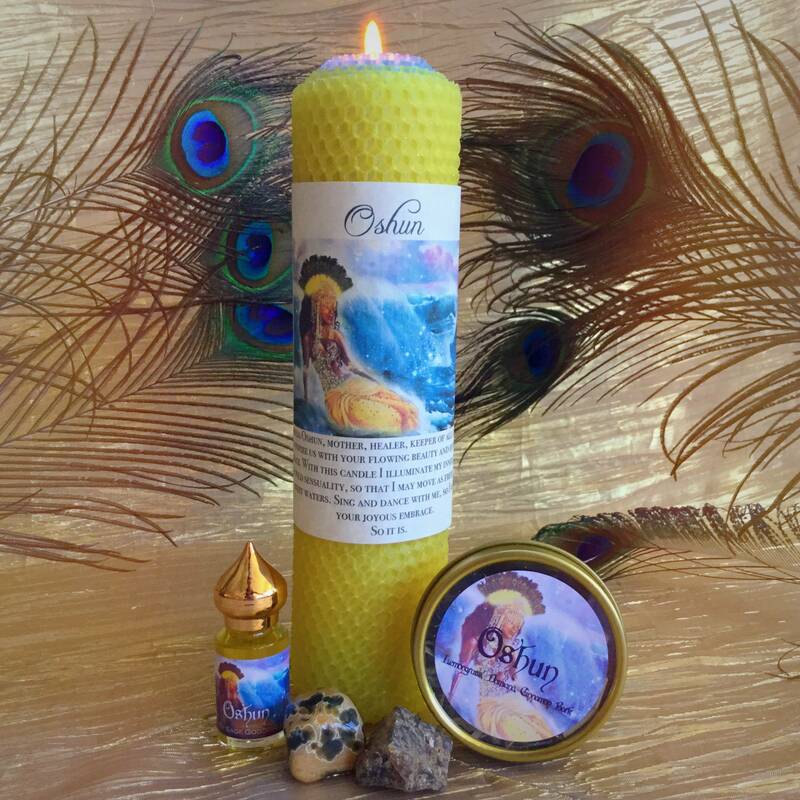 Butterfly brings forth energies of prosperity, transformation, happiness, and vision. Those who identify with Butterfly are light in spirit and attuned to the beauty of nature. They are colorful and vibrant, devoted to living life to the fullest. These people must remember to accept change as a part of their being, and while they can’t land on any one spot for long, they may benefit from cultivating gratitude for the present moment. 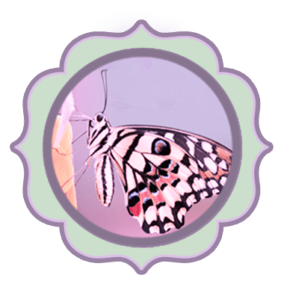 If Butterfly is your spirit animal, you will benefit from working with pink opal as a gemstone ally. Crab is an intuitive, sensitive, and protective creature. Those who resonate with Crab possess incredible powers of perseverance and are able to easily achieve their goals through hard work and dedication. They can be defensive when agitated, but when they truly love someone, they are fully committed. These people can benefit from embracing their emotions without allowing them to take over their being. 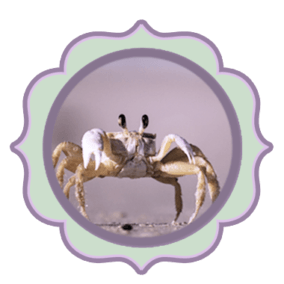 If Crab is your spirit animal, you will benefit from working with ruby as a gemstone ally. Crow is a symbol of courage, transformation, higher perspective, and Spirit Realm connection. 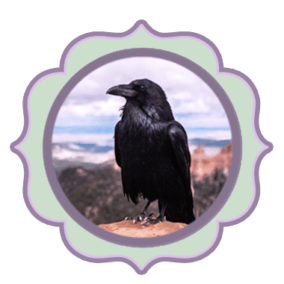 Those who resonate with Crow possess the qualities of intelligence, bravery, and inner strength, and they dedicate their lives to unraveling the Universe’s mysteries. Crow gives us the fearlessness to make changes in our lives and reminds us that magic is all around us if we’re willing to open our eyes. If Crow is your spirit animal, you will benefit from working with emerald and onyx as gemstone allies. Deer is a sensitive, intuitive, and graceful creature. Those who resonate with Deer are deeply in touch with their inner child and bring a sense of magic to any situation. These individuals are gentle, yet they possess an incredible ability to achieve their goals with confidence and ease. They also have enhanced powers of intuition. 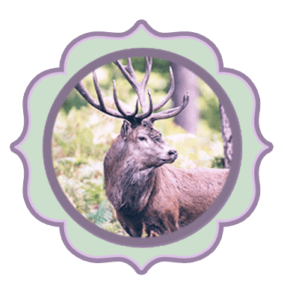 If Deer is your spirit animal, you will benefit from working with sapphire and hawk’s eye as gemstone allies. 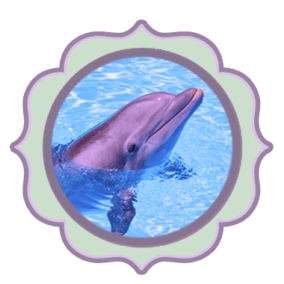 Dolphin is happy, playful, and wise, and those who resonate with this creature as their spirit animal are attuned to both the world of emotion and the realm of intellect. These people benefit from having play and laughter in their lives, and they possess heightened intuitive ability. Dolphin individuals are able to build harmonious communities, and they have a strong sense of freedom. If Dolphin is your spirit animal, you will benefit from working with aquamarine as a gemstone ally. The elephant is one of the wisest spirit animals, and this creature is gentle yet unbelievably strong. Those who feel called to Elephant are deeply connected to Earth and the Divine Feminine, and they are responsible, determined, sensitive, and loyal. These individuals prioritize family and community, and many of them are natural providers, capable of creating great abundance with their persistence and hard work. 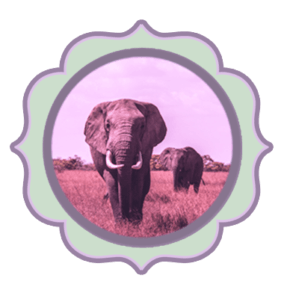 If Elephant is your spirit animal, you will benefit from working with kunzite as a gemstone ally. Fox is honored across the world for its cunningness and ingenuity. This creature is adaptable and quick-thinking, and it possesses extraordinary powers of focus, determination, and strategy. Those who resonate with Fox as their spirit animal are insightful and their cleverness is something that is admired by all. If Fox is your spirit animal, you will benefit from working with super 7 as a gemstone ally. Emotional connection, transformation, and Higher Realm wisdom: these are the gifts of Frog. 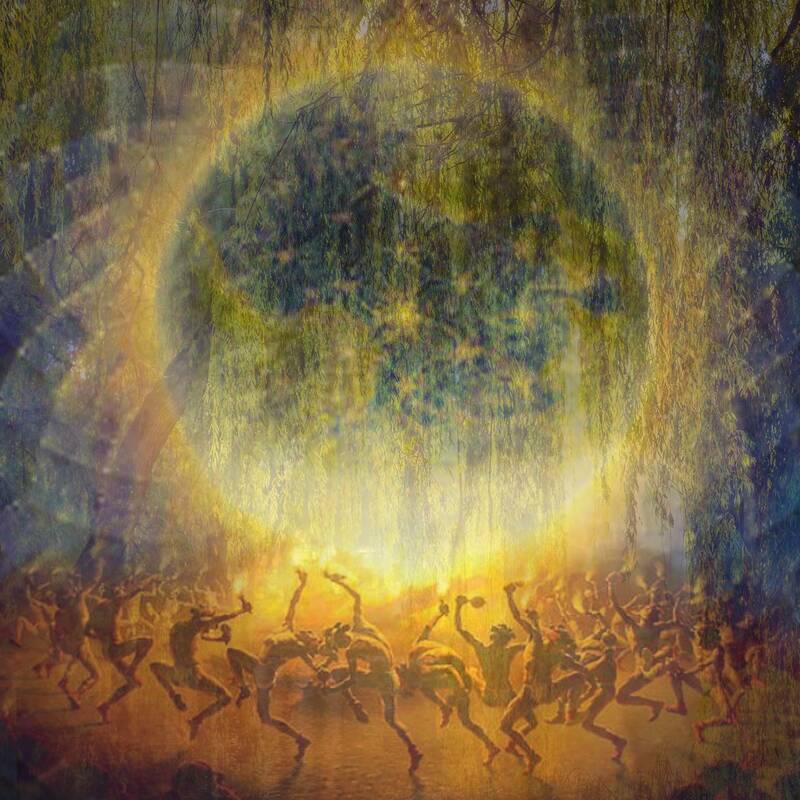 This creature is adaptable, intuitive, and connected to the Divine, and the vision of Frog individuals is greatly influenced by their attunement to the Spirit Realm. These people are known to be able to “hear beyond the Veil”, and they possess great wisdom. 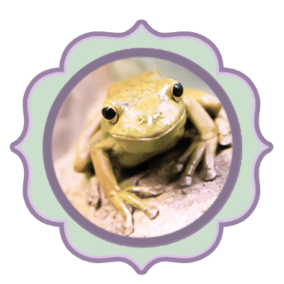 If Frog is your spirit animal, you will benefit from working with amethyst and alexandrite as gemstone allies. Hailed since ancient times as a magical creature, Goat is a symbol of fertility, intelligence, and persistence. 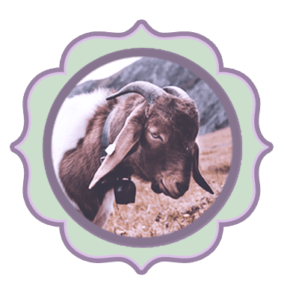 Those who identify with Goat are intuitive, honorable, agile, independent, and highly ambitious. Goat loves to climb – and Goat individuals are able to climb great heights, toward any goal that they’ve set their sights on. If Goat is your spirit animal, you will benefit from working with turquoise as a gemstone ally. 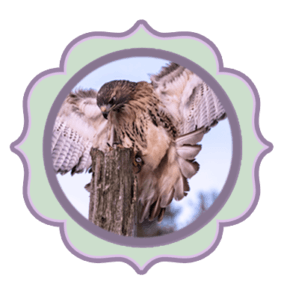 Hawk teaches the lessons of awareness, perception, and perspective. Hawk individuals are filled with positivity and are determined to share their words of hope, light, and love with the world. These people possess incredible powers of intuition and clairvoyance, and they should learn to trust their instincts. If Hawk is your spirit animal, you will benefit from working with fluorite and Herkimer diamond as gemstone allies. Horse jumps over hurdles with ease – and those who resonate with this creature as their spirit animal are accustomed to overcoming obstacles with just as much confidence and grace. Horse individuals are prideful and noble, and while they have a fierce sense of independence, they also desire to be of service to others. These people possess high levels of vitality, and they thrive in environments that give them space to “run”. 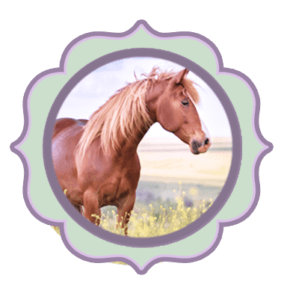 If Horse is your spirit animal, you will benefit from working with crazy lace agate and peridot as gemstone allies. Don’t be fooled by the size of Hummingbird – this creature is known to fly as far as 2000 miles to reach its destination! Those who identify with Hummingbird as their spirit animal are persistent in making their dreams come true. They are agile and energetic, yet joyous and affectionate. These individuals thrive when pursuing the things that make them truly happy. 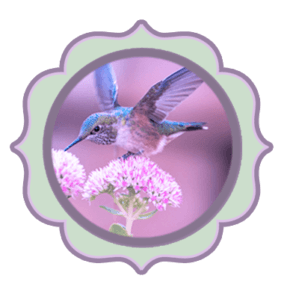 If Hummingbird is your spirit animal, you will benefit from working with pietersite and stichtite as gemstone allies. 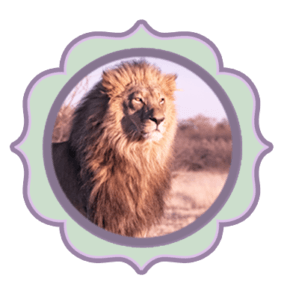 Lion represents strength, assertiveness, and personal power – and those who resonate with the “King of the Jungle” are natural leaders, born with incredible levels of confidence and life force energy. Lion individuals are brave and outspoken, and they must remember to use their strength to fight for the greater good of all. If Lion is your spirit animal, you will benefit from working with sunstone and charoite as gemstone allies. Panther is the ultimate shapeshifter – the master of disguise. This creature is swift, fierce, graceful, and solitary, and only a select number of people will be lucky enough to get close to a Panther individual. 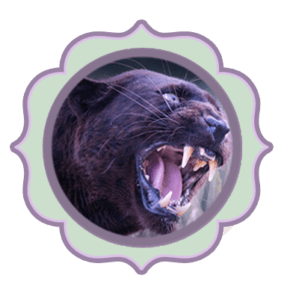 Those who identify with Panther as their spirit animal are elusive and mysterious, but while they are aloof in nature, their passions run deep. These individuals may benefit from embracing the power of expression. If Panther is your spirit animal, you will benefit from working with carnelian as a gemstone ally. Elegant power – this is Tiger. This majestic and fiery creature is master of the hunt – while Tiger is strong and swift, its true power lies in its ability to strategize and know when to leap. 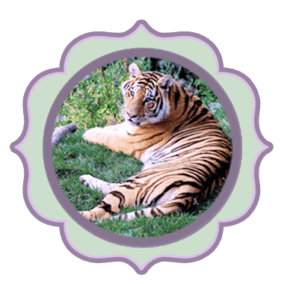 Individuals with a Tiger spirit animal are adventurous and expressive, and they have a deep need for independence. If Tiger is your spirit animal, you will benefit from working with tiger’s eye as a gemstone ally. Quick, community-oriented, and instinctive, Zebra is stunning and unique. Those who identify with Zebra as their spirit animal are inventive and one-of-a-kind. They thrive when they embrace their individuality, and they work best in environments that encourage their powers of creativity and innovation. These people are also balanced and peaceful, capable of bringing their visions to life with a sense of stability and ease. 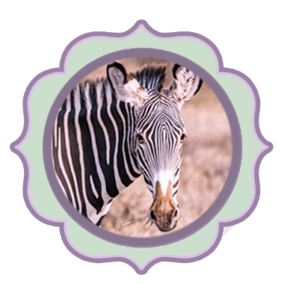 If Zebra is your spirit animal, you will benefit from working with onyx as a gemstone ally.